God delights to carry out His will through His children. God is looking for children who are in healthy relationship with Him through which He can carry out His will. God could do it all, but He wants to run it through us because He delights in carrying out His will through His children when they have a good relationship with Him. God wants to give people encouraging words. God wants to give people wisdom and counsel. God wants to build a lasting ministry through the church to impact this generation. And so what is He doing? He’s looking for children that have a genuine relationship with Him through which He can carry out His will. Just because we say, “I’m a Christian,” it doesn’t mean we have a genuine relationship with Him. God wants us not to just have faith, but a vibrant and living faith. God wants us to have a daily, ongoing, vibrant, living relationship with Jesus Christ. That’s what delights Him. The more you get to know the Lord and you develop an ongoing and vibrant, daily relationship with Him, after a while, you know what pleases the Lord. There’s just a beautiful self-adjusting mechanism that develops inside of you that begins to correct and adjust you along the way. If you don’t develop this, you would go the wrong way without even knowing it. The more you know the Lord, the more you can adjust your life. If I don’t have a vibrant relationship with Him, I just keep going until I hit the wall and then I need to ask God for forgiveness and there is a mess to clean up. But if I just develop a deeper relationship with Him, I would sense His displeasure early on and I wouldn’t have lost all that I did. When you have an ongoing and vibrant relationship with the Lord, you’ll find that you are a person that is always looking to repair broken relationships. When I develop a genuine relationship with the Lord, my heart is going to be tending toward putting things that are broken back together. When you have a vibrant relationship with the Lord, it is painful to tolerate unresolved broken relationships. When you have a relationship with the Lord, you won’t become immune from pain. You will still have pain, but the pain will be the compassion over brokenness. When you see things that aren’t right in God’s eyes, you want to see it righted. Pain is inevitable. Either you are going to have pain over the things that pain God’s heart, or you’re going to have pain because you’re just doing dumb things. But either way, you choose what kind of pain you’re going to experience in life. The third hallmark for healthy relationships is adding life to relationships. It means doing something about your relationships and not just defining what’s wrong or feeling bad about it. “Repent therefore and return, that your sins may be wiped away, in order that times of refreshing may come from the presence of the Lord” (Acts 3:19). 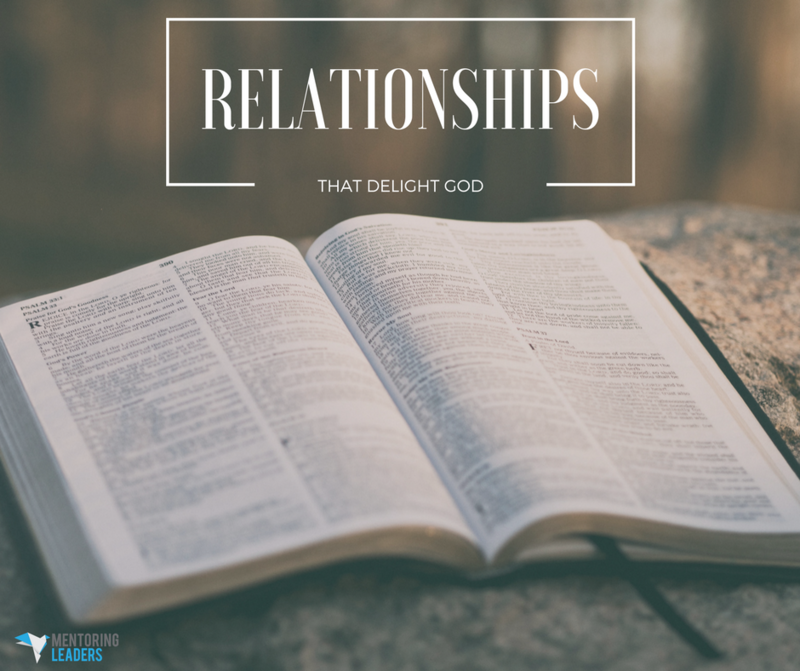 God wants us to add life to our relationships. He wants us to have a vibrant, living faith so that, year by year, our marriages are getting better, our relationships are getting better, our thinking is better and our people skills are better. We are becoming more a people of excellence with greater vision, greater insight and greater devotion to God. Sometimes, we receive the Lord and we stop growing. We’ve got to start adding life and we want to have a genuine relationship with the Lord. Receiving Christ is important when we ask for forgiveness of sin, but that’s not the end. God is looking for people who have a vibrant, living, ongoing, everyday, current faith. Those are the ones God delights in carrying His desire through. He wants to take heaven and deliver it to earth, but He’s looking for those who have a vibrant relationship with Him through which He can deposit that. I’d like to be one of those and I think you do as well.